The Department of City Planning’s Fall 2017 Quarterly Report is now available online. 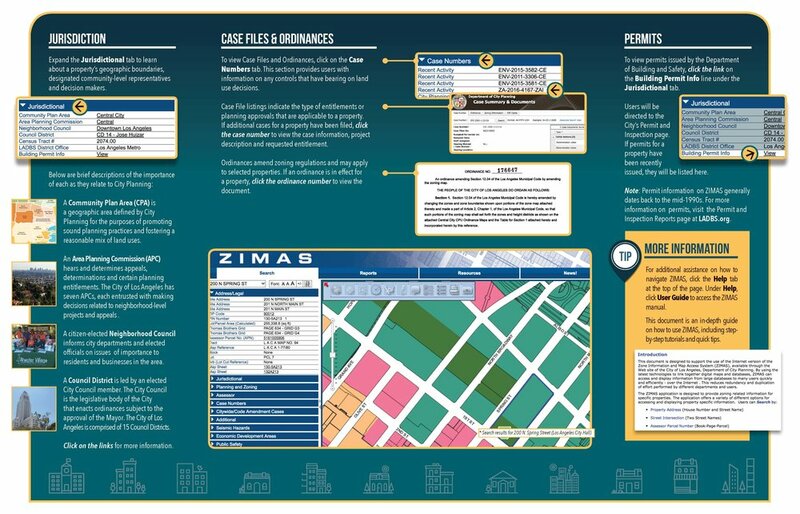 In order to help the community with obtaining zoning and land use information, the DCP has published a tri-fold brochure with information to access the Zone Information and Map Access System (ZIMAS). This brochure explains the useful tools and functions of the ZIMAS database. Click here to link to the DCP quarterly report. Click here for the ZIMAS instruction brochure.